Ile-Ife Clash: Afenifere to defend Yoruba suspects – Royal Times of Nigeria. Yoruba socio-cultural organisation, Afenifere has said it would hire over 100 lawyers to defend the 20 indigenes of Ile-Ife, who have been accused of being involved in the recent clash between Yoruba and Hausa traders. The National Publicity Secretary of Afenifere, Yinka Odumakin in an interview with Punch made this known. 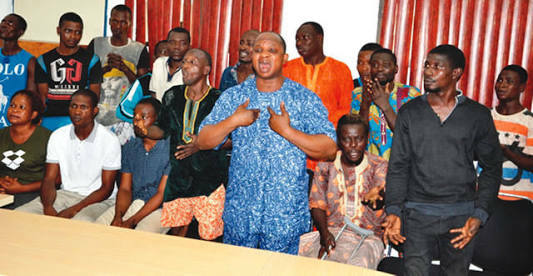 Odumakin said; “For now, about 18 Yoruba sons and daughters, who are all lawyers, have expressed interest to defend their brothers who have been falsely accused. Many others are coming to join. At the end, Afenifere will be having over 100 Yoruba lawyers to defend the 20 Ife indigenes,”. Afenifere had earlier released a statement stating that it would resist the deployment of federal troops in the South-West to settle ethnic scores. The group said, “Following the illegal, unconstitutional and sectional parade of 20 Ife indigenes over the recent clashes between the host community and Arewa settlers, Afenifere has vowed to resist the undue deployment of federal might to settle ethnic scores. “As a first step in this regard, we have assembled a powerful team of lawyers to enforce the fundamental human rights of the 20 abducted Yoruba persons. “It is a settled law that the investigation and trial of suspects must take place at the scene of the crime. We are appreciative of the many lawyers of Yoruba extraction who have taken up this challenge pro bono. “The legal team will challenge this subversion of due process while political pressure continues on why two communities will be involved in a fight and only members of one community will be put on trial by a police whose leadership is of the same ethnic group with the other party in the conflict. “We restate the fact that the Arewa group started the killings in Ife by killing a Yoruba young man. This is clearly missing in the skewed report by the police.